Do you ever have one of those weeks when you try and recall the vegetables you’ve eaten and all you can come up with is salsa? Well, Mr. Tummyrumblr and I are having one of those months. We are getting ready to make a big and long-anticipated move, and things have been pretty nutty around here lately. Whenever I feel stretched too thin, my fresh fruit and veggie consumption drops (and in turn, my crapola consumption rises dramatically). It’s such a bummer that this happens because by keeping my healthy diet intact, I’d stand a much better chance hurdling life’s day-to-day stressors with ease. But there’s no need to wallow in it. I know exactly how to get fired up about vegetables again – by watching my favorite TED talk given by Terry Wahls. If you’ve never heard of Terry Wahls, she is a doctor who reversed her Multiple Sclerosis by changing her diet. Here is her 18 minute TED talk which outlines the specifics. It is definitely worth watching and passing along. While I suspect there are many factors at work in Terry’s recovery, there is no doubt that her drastically increased nutrient intake played a huge role in her success. It’s worth noting that Terry didn’t just increase her vegetable and fruit intake, she also ate pastured meats (organ meats in particular), seaweed, and bone broth, all of which are rich in nutrients that the Standard American Diet lacks. So, if you, too, have dropped the ball this week (or month), today is the day to get back on track. This kale salad is my new autumn favorite; the rich and tangy hazelnut orange dressing pairs perfectly with the kale and onion, and to top it off – bits of crunchy roasted hazelnuts and naturally sweet Medjool dates. Combine everything but the oil in a blender and puree until the date is well broken down. Slowly drizzle in the oil in a steady stream until the dressing is emulsified. Set aside. Preheat the oven to 375 degrees. 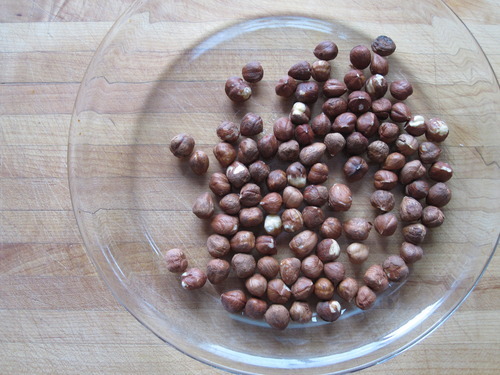 Place the hazelnuts in a baking dish and roast for 7 – 8 minutes, or until the skins are darkened and beginning to split. 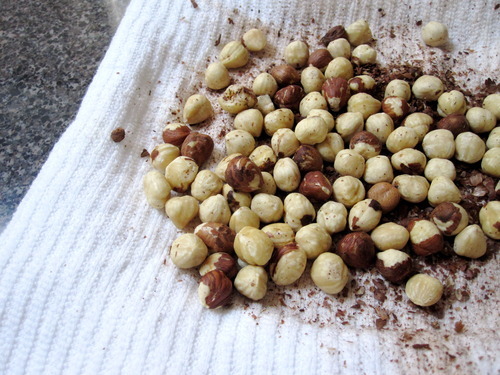 While still hot, transfer the hazelnuts to a kitchen towel and wrap them up to steam for 15 minutes. Once they are cool enough to handle, squeeze and twist them around firmly while still wrapped inside of the towel for a few minutes to remove their skins. Place the hazelnuts and the pitted dates into a food processor and pulse about a dozen times until they are finely chopped and mixed together. Set aside as your salad topping. Prepare your kale by washing, drying, and chopping as necessary, and place it into a large bowl. Thinly slice your onion and add to the bowl as well. 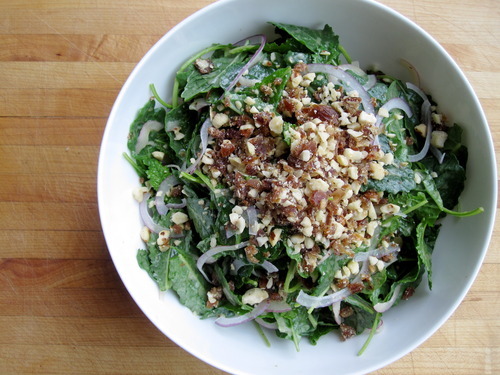 Toss the kale and onion mixture together gently with all of the orange-hazelnut dressing. Transfer to a platter of bowl and sprinkle with the date and hazelnut mixture. This entry was posted in gluten free, paleo, perfect health diet, salad, vegetarian and tagged gluten free, kale, paleo, perfect health diet, salad, vegetarian. Bookmark the permalink.